Since 2000, Mary Chabot Training has provided Lead Paint Training Classes - Moderate Risk Deleading for Homeowners and Agents. 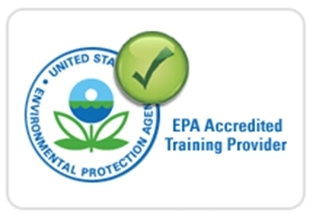 In 2009, Mary Chabot Training became one of the first schools certified to present the RRP (EPA Renovate Repair Painting) and MA Lead Safe Renovator (LSR) Initial Training, and the 4 Hour RRP Refresher Training amd Lead Safe Renovator (LSR) refresher class. It also became one of the first schools to offer the new MA Moderate Risk Deleading Supplement Training that allows contractors to work on deleading projects when the intent is to obtain A Letter of Full Deleading Compliance, without the much more stringent training requirements of a licensed deleader. Mary Chabot Training offers Continuing Education for Construction Supervisors in MA. Two locations - Webster and Turner's Falls MA - make it easier for you to find a class near you. We are collecting names of intersted students and will hold a class when we have enough. 1. You must provide a copy of your training certificate. If you don't have a copy you must attend the 8 hour Initial Training. 2. If your certificate says "Lead Safe Renovator," you are eligible for the Refresher training for 6 years after the training was taken. Classes are from 9-5 - an 8 hour training day. for Homeowners/Agents training since 2000. Lost your training certificate? For administrative purposes, we do charge $25 for each new original.